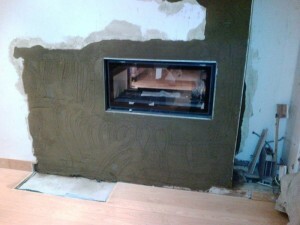 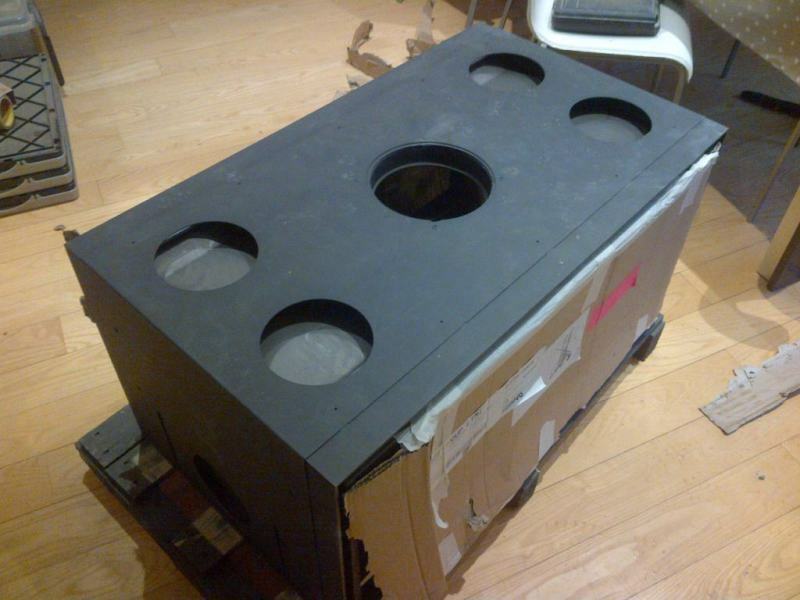 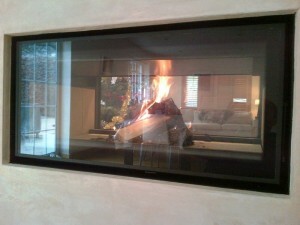 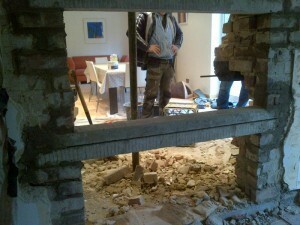 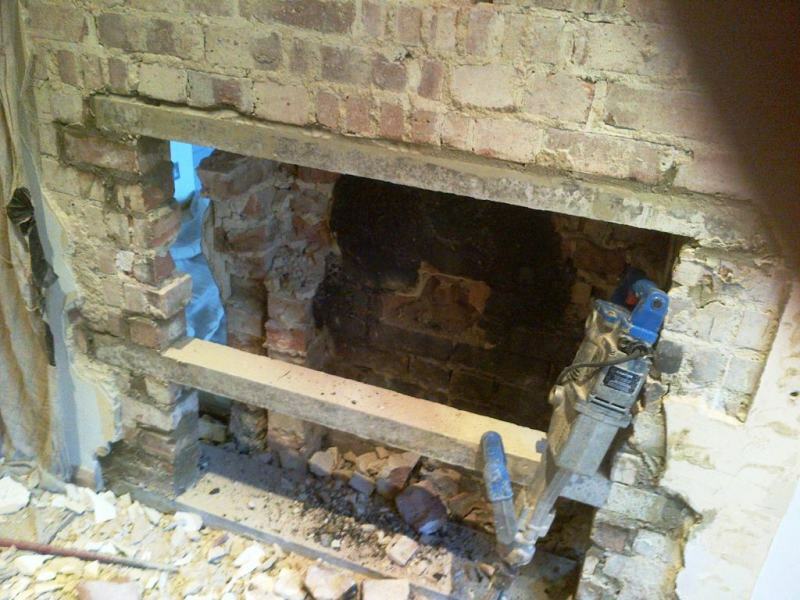 This pre Christmas installation of the Jide Decor 16/9 double sided fireplace was a very complicated but exciting one. 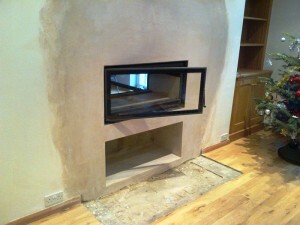 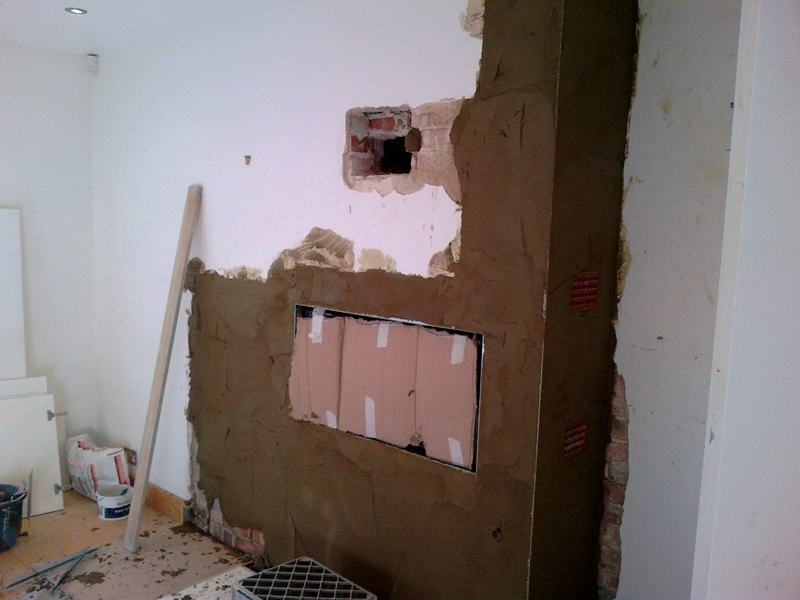 The project was for some great clients living in Haslemere, Surrey. The request was to install a double sided stove but one that was contemporary in style and produced a good amount of heat. 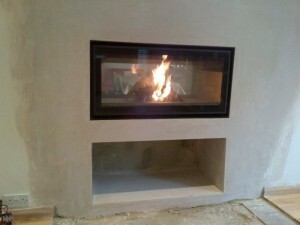 We gave the client a number of choices and eventually they chose the Jide Decor 16/9 double sided stove. 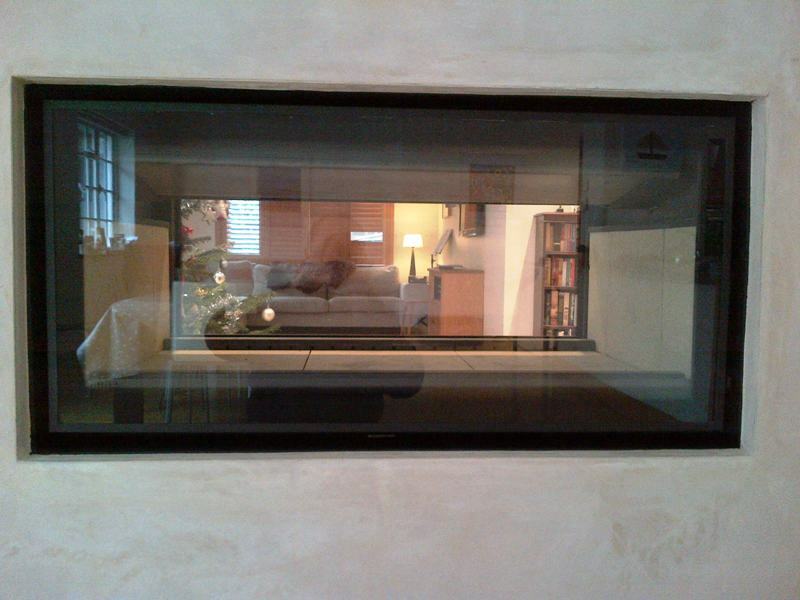 This is a very impressive stove with a huge viewing space. 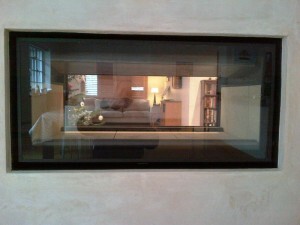 The double sided fireplace, Jide Decor, is perfectly designed for open plan spaces. 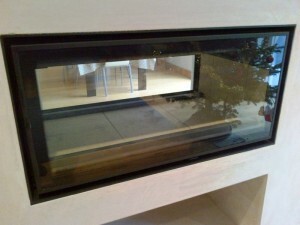 It can sit in the centre of a room and has the ability to heat two rooms simultaneously. 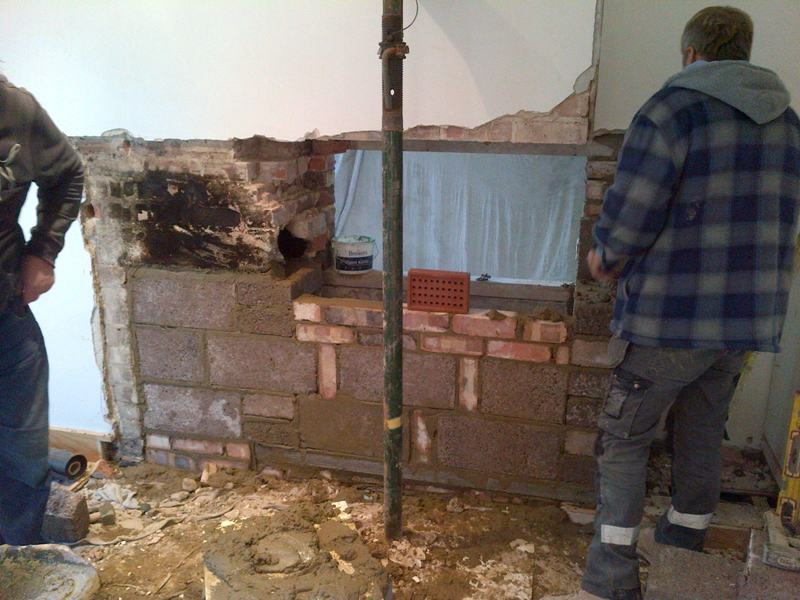 The building works were complicated and required the skill and knowledge that our experienced builders bring to our fireplace projects. 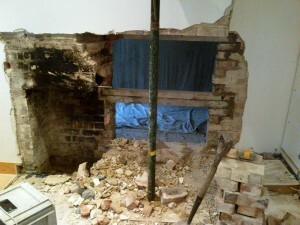 Hopefully you can see from the progress of the pictures how the installation progressed. Finally, the finished fireplace pleased the clients immensely, and they enjoyed their Christmas in front of their very impressive new stove.